*This was composed on Monday, October 3, 2016. Sometimes, we don’t know where we’re going, but we go anyway. That’s the feeling I have with the S79 version of the Ateneo de Manila Blue Eagles. This edition of the Blue and White feels like an exercise in spontaneity — it feels equal parts exhilarating (like when Thirdy Ravena and Aaron Black exploded on the UST Growling Tigers on opening weekend), exasperating (like when the same Ravena and Black combo sputtered against the NU Bulldogs in their next game), rousing (like when Ateneo put together back-to-back wins to move into solo second spot last week), and despairing (like when De La Salle opened the Eagles up like a can of sardines yesterday). It’s like that impromptu road trip to the beach where you bring the surfboard, the sunblock, and the swimwear (and the smartphones — don’t forget those!!! ), but nobody remembers to bring any food outside of Jack & Jill Tortillos. Our S79 Blue Eagles have a lot of fine parts, but the whole is still somewhat undefined. 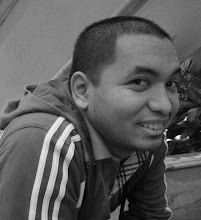 Yes, we all know that every UAAP team’s ultimate objective is to win the title and that this team has maybe the thinnest frontline since the dark ages of the mid-90s, but knowing all those things doesn’t make it easier to accept the reality that the new byword of the team is, well, uncertainty (#BEBOB and #FITL are the official hashtags; I know what the former means, but I’ve yet to decipher the latter). I guess that’s also why, despite our boys’ coming soon to a Ben Mbala poster near you, I admire them with every ounce of sentiment in my heart. When I was watching yesterday’s David and Golitah retelling (this is not the Biblical tale we know; someone flipped the script), I felt like I was reading the Odyssey all over again, and I was stuck in Book 12, where Odysseus and his men sailed through Scylla and Charybdis. Imagine being caught between a rock and a hard place, only the rock is a swirling body of raging water and the hard place is a multi-headed carnivore at an eat-all-you-can buffet. On one end, Ben Mbala punishes the rim at will (I do pity that rim), and, on the other, the same Mbala swats and alters shots before running downcourt again to make the rim rattle even more. 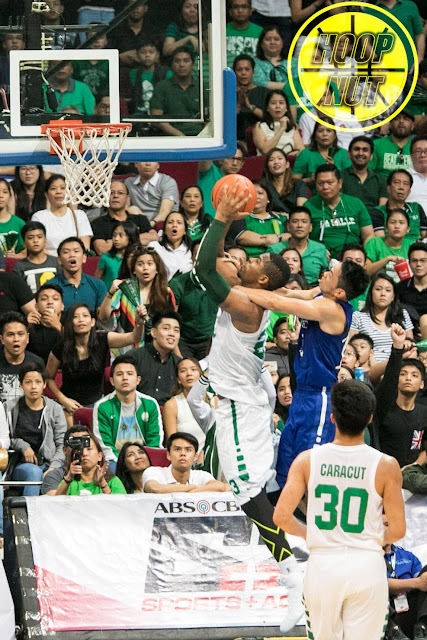 I don’t think I’ve ever seen a player dominate in the UAAP the way Mbala did yesterday. And I mean ever. EVER. No, that’s not even a stretch. And even when Mbala wasn’t doing the damage, DLSU’s depth proved to be too much for our beleaguered Eagles, a number of whom probably weren’t even expecting to be part of this lopsided spectacle when they were sipping piña colada in the summer months. Kib Montalbo took the ball away from Ikeh Chibueze the way a baby would be ashamed of. Thomas Torres, Andrei Caracut, Aljun Melecio, and Ricci Rivero were hitting threes like a doomsday hailstorm. Heck, even seldom-used Jason Perkins and Mark Dyke got their licks in. La Sallians were grinning from ear to ear, high-fiving in the stands, and eating their cake while watching their Archers frolic, making the MOA Arena their own personal hardwood sandbox. 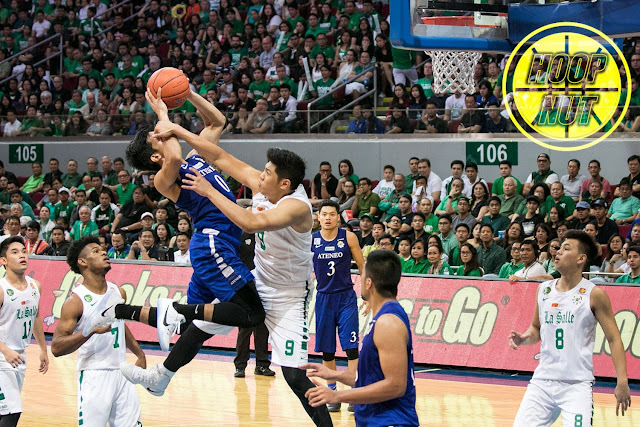 DLSU had their way with Ateneo, and the Blues were as confounded as a 12-year-old staring at a polynomial equation for the first time. It wasn’t a happy ending, of course. We know that. We lived through it. We suffered through it. But maybe this is not the ending yet, eh? Odysseus lost a ton of men after sailing through Scylla and Charybdis, but a good number still made it through. Ateneo lost by a ton, but they still made it through the first round as a top four team. They will have more trials in the second round, as Odysseus had when faced even tougher opposition after Scylla and Charybdis in his journey home, but I would like to think that the Blue and White are slowly learning, adapting, and improving. Sure, there doesn’t seem to be any answer for Ben Mbala right now (or maybe till Season 80), but at some point down the road we have to believe that these Eagles will find a way to redemption — not in our eyes, but in their own. Because, come on, no matter how disappointed I was, you were, or anybody was with the way the Eagles lost to the Archers, it pales in comparison to the deep-seated sense of defeat the actual players felt. These are the men whom we entrusted to carry our school’s colors, and we have to stand behind them no matter how big the gap in the score is or how many Mbalas lie in wait (no more than one, hopefully). May the next Ateneo-De La Salle tiff have more than a third of the stadium filled up by the Loyola faithful, and may that fuel the fire that has been undoubtedly lit in the Eagles. 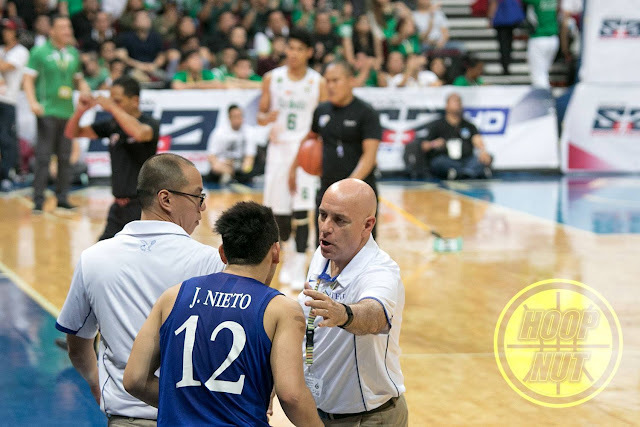 After Sunday’s loss to DLSU, the way doesn’t seem any clearer for Ateneo. Where is this team headed? Can they recover from such a blowout? Can they still make it to the Final Four? Will they rise up, or will they implode in the second round? I don’t know where this team is going. But we will go with them. We will go with them any way. We will go with them anyway. Wait that was my first guess, but someone connected to the team said it's something else!